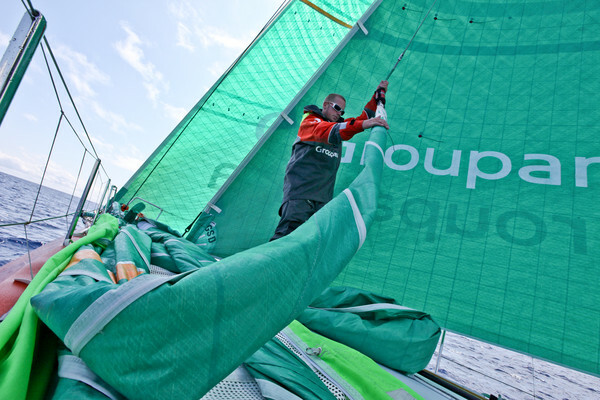 Groupama sailing team topped the leaderboard with a strong strategic hold on the fleet on Monday – a position skipper Franck Cammas put down to the cunning work of navigator Jean-Luc Nélias. Cammas paid tribute to Nélias, whose skill in plotting a shift north 48 hours ago is paying off in style as Leg 4 continues from Sanya in China to Auckland, New Zealand. At 1300 UTC, CAMPER with Emirates Team New Zealand were in second place thanks to their southerly positioning but under threat from a still charging PUMA Ocean Racing powered by BERG on the far eastern edge of the pack. 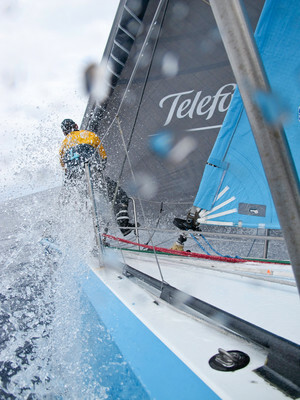 Team Telefónica were fourth with a marginal advantage over Mike Sanderson’s Team Sanya, while Abu Dhabi Ocean Racing were sixth, but poised to rocket up the leaderboard if their push to the east comes off. The fleet is expected to turn south over the next 24 hours as they latch on to north easterly trade winds on the way to the equator and Groupama look well placed for that transition. “For sure we are happy with the strategy,” Cammas said. “It was a good move to avoid a light patch in the south. Cammas said Groupama’s decision to abandon their southerly route also meant they could head off PUMA, who have been charging back into contention after sailing north for several days. 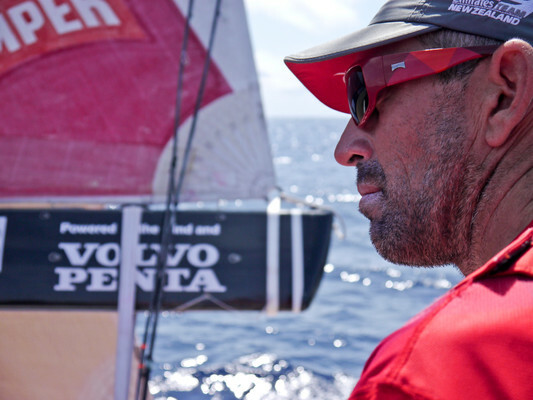 Furthest south, overall race leaders Telefónica are struggling to match the speeds of Groupama and PUMA in the east -- a situation which skipper Iker Martínez says could worsen when the fleet begins trade wind sailing. 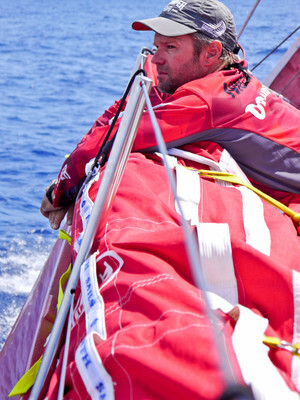 “PUMA and Groupama have lots more speed to the east,” he said. 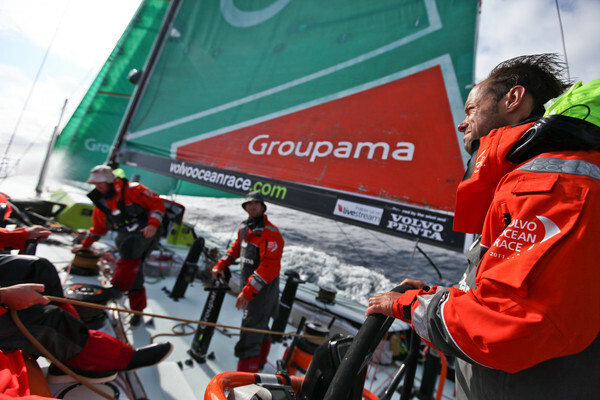 “For sure once all the teams are in the trades PUMA and Groupama will have a better angle and will get more speed out of their boats. 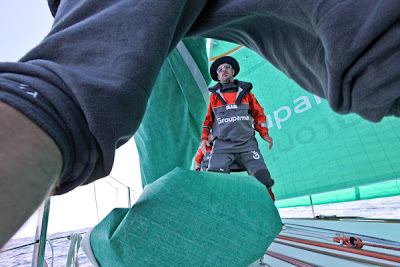 Martínez said despite their current uncharacteristic ranking Telefónica remained in good spirits and were committed to fighting their way back into contention by outsailing their competitors. 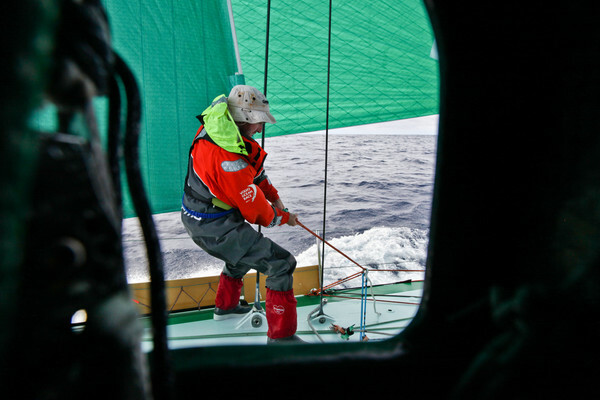 Having lost the leg lead to Groupama, CAMPER co-skipper Stuart Bannatyne said the priority was to minimise the damage and look for a chance to strike back. 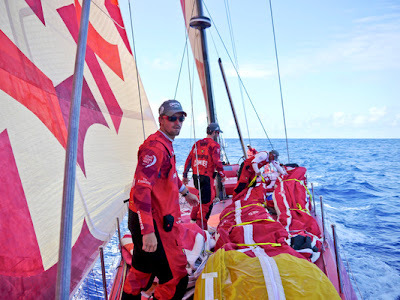 “We’re having a tough time hanging with the other guys, but conditions are very pleasant on board so it’s not all bad,” Bannatyne said. “We’re just chipping away and working as hard as we can to get back in the game. We’re hoping our position will see us with a nice angle and a nice line of pressure with which we can make some gains back on the front guys. The boats are expected into Auckland around March 9, according to the latest ETA. Etape 4 - Jour 4 : Cargos !